Welsh Netball Chair, Catherine Lewis, has hailed the contribution of the devoted, much loved President of the Organisation Wendy White BEM, who sadly passed away last night after a long illness, bravely fought. Barry born Wendy White had been a part of the Welsh netball fraternity for over fifty years as an International player, umpire, coach, bench official and in later years a key member of the Welsh Netball Board. A proud President of Welsh Netball, Wendy was well respected by the International netball community across the globe. Wendy was a founder member of the Barrians Netball Club (now known as Barry Netball Club) and was at the heart of Dinas Netball Club, Cardiff, until her illness. 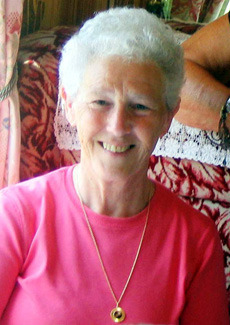 Wendy was well known within the netball community in Wales and internationally. In 1987, Wendy moved to Australia to work for the All Australia Netball Association, and later for the Queensland Netball Association. After returning home to Cardiff in 1991, Wendy continued in her role within various Netball and Sports Associations, including Welsh Netball. Welsh Netball Chair, Catherine Lewis said, “Wendy was a key figure in the Organisation for countless years. Wendy was heavily involved in almost all aspects of the organisation, from the administrative side, organising events, running competitions, governance, and relished in the netball life in Wales.